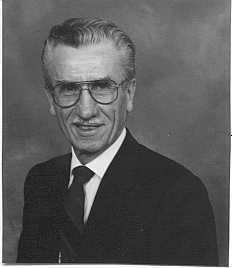 Paul Wilfred Boschman: missionary, pastor and church planter; born 23 January 1923 in Petaigon, Saskatchewan, Canada, the eldest of ten children of Cornelius and Agatha (Dyck) Boschman. He married LaVerne Linscheid on 23 June 1950. Paul and LaVerne had two children: Beverly, who died of Huntington Disease in 1986, and Lawrence, who also died of Huntington Disease in 2003. LaVerne died of Huntington Disease on 16 February 1972. Paul then married MaryAnne (Janzen) Isaac, a widow with three children, Larry, Don, and Rachel, in 1973. Paul died at home in Abbotsford, British Columbia after a two-year struggle with cancer 19 January 1994 and was buried in Abbotsford. Paul attended elementary school in Petaigon, high school in Carrot River and Rosthern Junior College. Paul made a commitment to Christ at age 16 and a year later felt the call to ministry. He was baptized in the Carrot River Mennonite Church, Saskatchewan in 1941. After high school he attended Bethany Bible Institute in Hepburn, Saskatchewan. During World War II Paul served as a conscientious objector in alternate service. After the war, Paul attended Bethel College in Newton, Kansas (BA), Mennonite Biblical Seminary in Chicago, Illinois (M.Div. ), (Bethany Biblical Seminary in Chicago for two years), and Fuller Theological Seminary in Pasadena, California. He was ordained to the ministry by Paul Schroeder in the Petaigon Mennonite Church on 11 July 1948. Following Paul’s marriage to LaVerne, he served as pastor of the Mennon Mennonite Church in Ritzville, Washington. Instead of returning to seminary the next year, Paul and LaVerne were ordained as missionaries by J. J. Thiessen in 1951 and the family sailed to Japan under the General Conference Mennonite Church Commission on Overseas Ministries (COM), where they served for 20 years. During this time Paul planted the Kobayashi Mennonite Church with Pastor Takashi Yamada. Paul was ordained as an elder in Japan by Andrew Shelly in 1965. LaVerne was diagnosed with Huntington Disease in 1958 and was ill for most of their time in Japan. LaVerne’s poor health led to a return to North America in 1971, and she passed away eight months later. Boschman served on the Board of the General Conference Commission on Home Ministries, the Resource Board, as a congregational representative to the Worldwide Evangelism-in-depth Organization, and as co-coordinator of Chinese Ministries in Canada. From 1974 to 1982 Paul served as pastor of Mountainview Mennonite Church in Vancouver, BC. He became pastor of West Abbotsford Mennonite Church on 1 October 1983, serving until 1988. Paul then retired. He did some interim ministry work at First United Mennonite Church in Vancouver and served as half-time coordinator for Chinese Ministry with the Conference of Mennonites in Canada. Paul Boschman co-authored and edited Experiments in Church Growth: Japan (1968), published a number of pamphlets, Church Growth and Social Structures, and Church Growth Problems Arising in the Mission Field, plus other papers and articles. The following appreciation award was presented to Paul Boschman on 5 October 1980 in Kobayashi, Japan: "We are very grateful that you kindly visited us, the Aichi Christian community in Nagoya, today. Looking back at our past history the Reverend Boschman has devoted the best years of his life to the work of evangelism in Japan. Now we are celebrating the 25th anniversary of the beginning of his work in Japan." The profound impact Paul Boschman had as a missionary, pastor and church planter cannot be more clearly stated than in the words of the award. Neufeld, Waldo and Richard D. Thiessen. "Boschman, Paul Wilfred (1923-1994)." Global Anabaptist Mennonite Encyclopedia Online. July 2014. Web. 21 Apr 2019. http://gameo.org/index.php?title=Boschman,_Paul_Wilfred_(1923-1994)&oldid=162251. Neufeld, Waldo and Richard D. Thiessen. (July 2014). Boschman, Paul Wilfred (1923-1994). Global Anabaptist Mennonite Encyclopedia Online. Retrieved 21 April 2019, from http://gameo.org/index.php?title=Boschman,_Paul_Wilfred_(1923-1994)&oldid=162251. This page was last modified on 25 October 2018, at 18:55.